Today’s post is going to be short and sweet, thanks to a few (pleasant) developments in my life that have had me running around like a mad man this week. I want to take a few moments to reflect on the heaping pile of awesome that is X-Men: Days of Future Past. X-Men fans have finally gotten the movie they deserve. (light) Spoilers ahoy! Personally, I had grown pretty disenchanted with the X-Men movies. Once my favorite Marvel title, the movie treatments (particularly X2, X3, and X-Men Origins: Wolverine) were just so terribad, that I actually started avoiding the comic too. Basically, the bad movies, combined with how they started to feedback into the comics (costume changes, character quirks, and the like) made me fall out of love with the X-Men. That dislike slowly began to reverse for me with the release of X-Men: First Class. 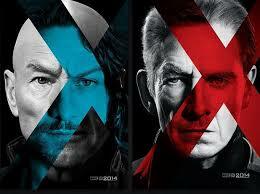 That said, Days of Future Past is easily the best X-Men movie yet (tied, perhaps, with the original film). A time travel plot that remains cogent throughout? Check. An amazing cast portraying beloved (and reviled) characters in novel ways? Check. (Double check for McAvoy’s troubled young Xavier, who was heart wrenching as a heroin walkie-making drug addict, and Peter “Motherf*ckin’ Tyrion Lannister, biatch” Dinklage as a wormy Bolivar Trask). Best Nixon since The Watchmen? Check. But more than any of that, the best part of Days of Future Past is that it managed to somehow undo the big stinky fart(s in the room… In a deft stroke, it made the bad movies go away. Not in favor for Haley. He will forever be the “bad boy” from Bad News Bear for me. Jackman nailed Wolvie in this last film. And he looks like the Canuck even more than he did in X1. Boy was ripped! Jackman was a good Wolvie in this movie, but he has alluded to the fact that me doesn’t have many more Weapon X outings left in him. I wouldn’t be surprised of Apocalypse is his last, and forces Fox’s hand. I just think Haley has the look.